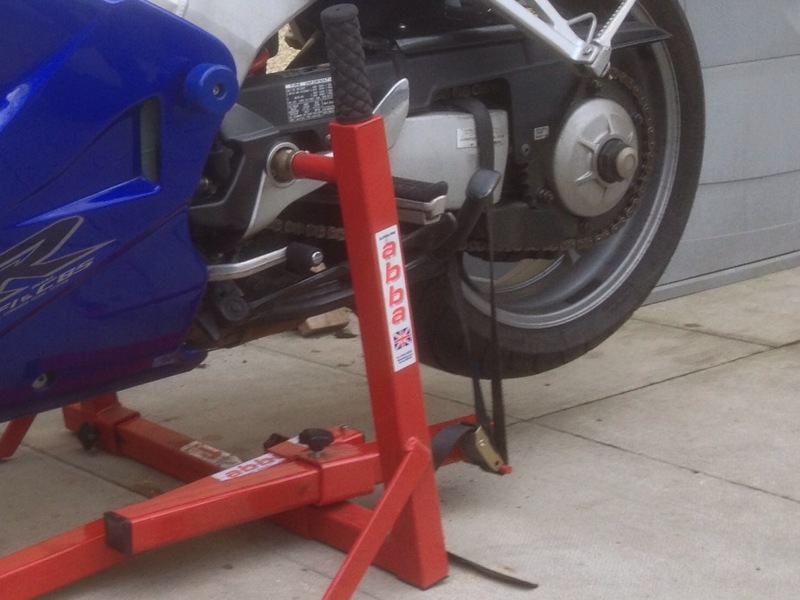 hondahornet.co.uk • View topic - Wheel bearing puller for of couple of quid. Wheel bearing puller for of couple of quid. 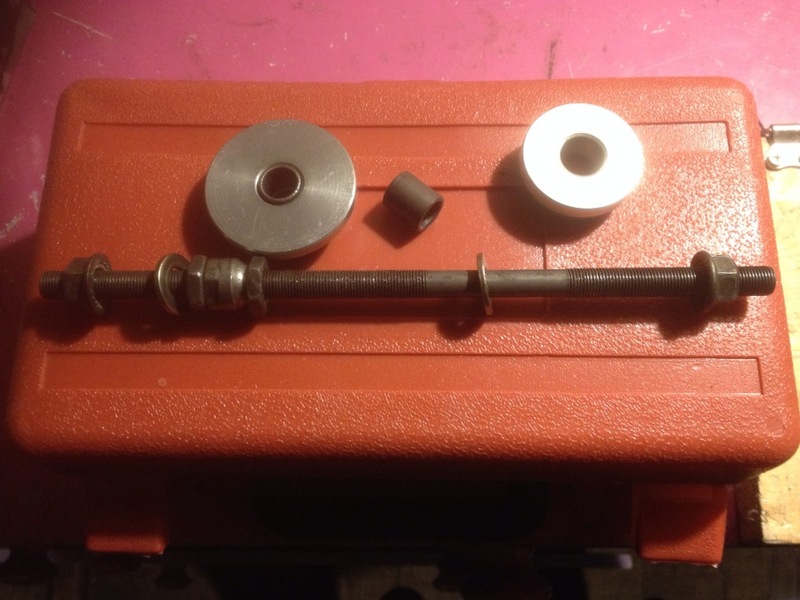 Post subject: Wheel bearing puller for of couple of quid. ....but will only slide this far because the bearing's chamfer engages the lipped edges. 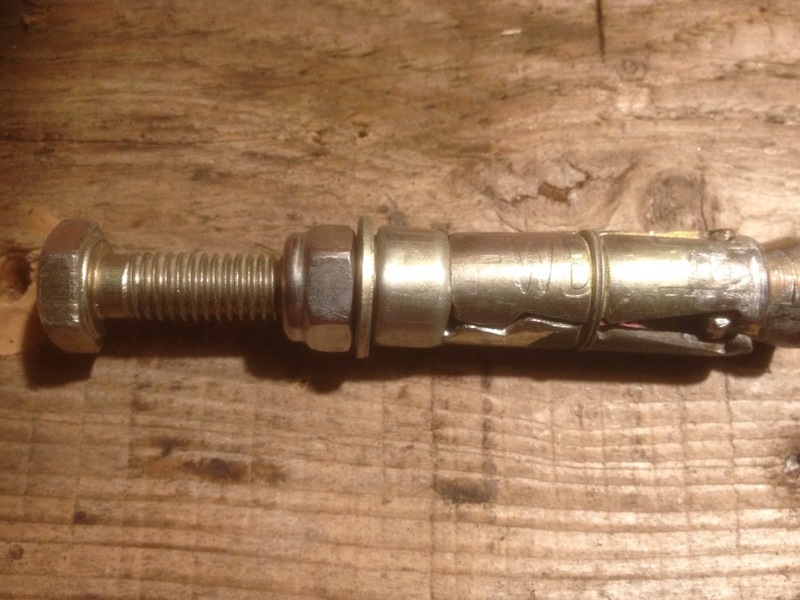 If you fancy giving this ago you'll need an M12 Rawl bolt for the front wheel and a M10 for the rear wheel. 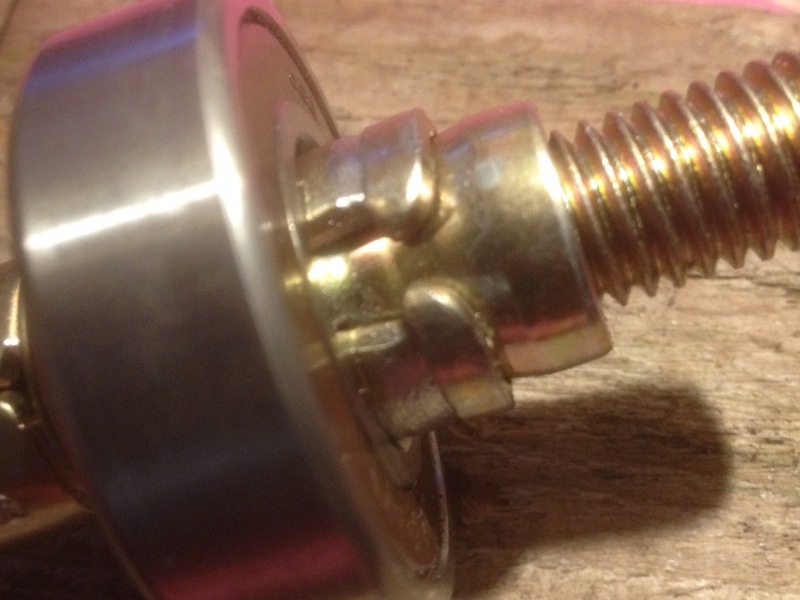 When tightening the rawl bolt mole grips are required to hold its body from rotating, and this may eventually damage it so another mod is to add a nut. 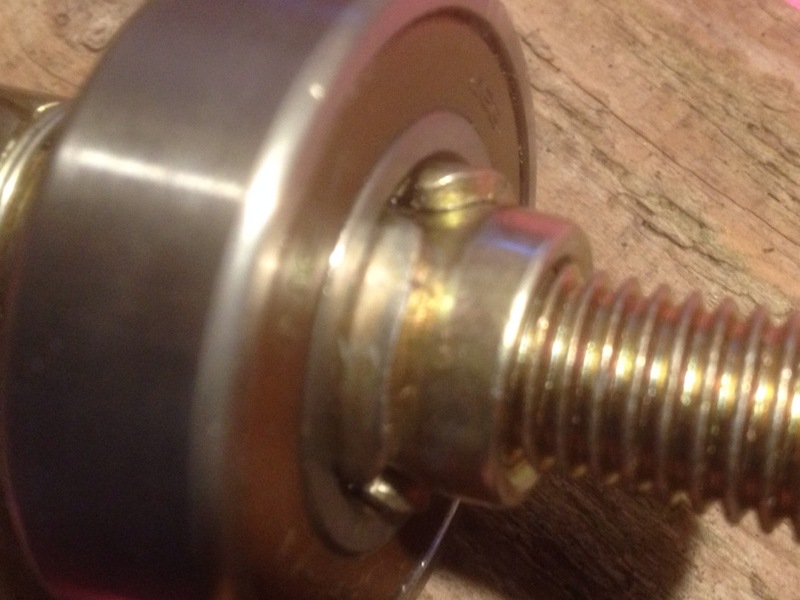 I didn't have an M12 nut so here's a demo on a smaller M8 rawl bolt. A spanner holds the bolt still while another turns the nut. The thread should remain flush at the bottom, loctite it if you wish. Turning the nut draws the bolt and cone through the jawed mechanism. Benefits of adding the nut are, it's easier to tighten, it won't get chewed to bits by mole grip teeth and there's a broader end to hit. Post subject: Re: Wheel bearing puller for of couple of quid. Thanks for sharing your great idea Biggabit. I tried sometimes similar years ago but just couldn't get it tight enough. I think using a 2nd nut just might be what's needed, so I'll try again when i next bugger up the wheel bearings. I liked this method as it accurately places the 'lipped' ends between bearing and spacer, and by locking onto the chamfer doesn't need to be overly tightened. 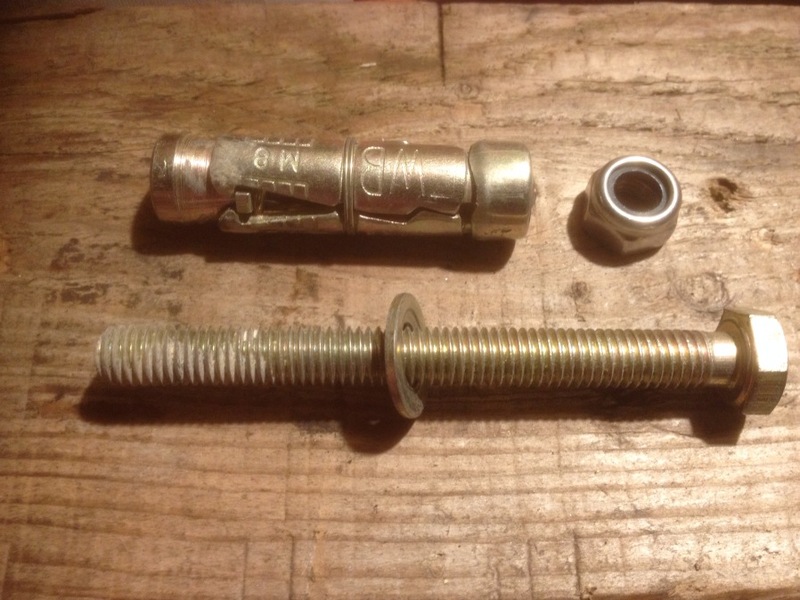 Which negates the possibility of damaging the spacer with a misplaced and (in order not to slip) overly tightened rawlbolt. Just read it again, I also didn't file a recess in to create the lip - doh! No wonder it couldn't grip. Here's a question for you... when driving in the replacement bearing, do you grease the seat first or just drive the bearing in dry? Steel on steel will tend to slip.... 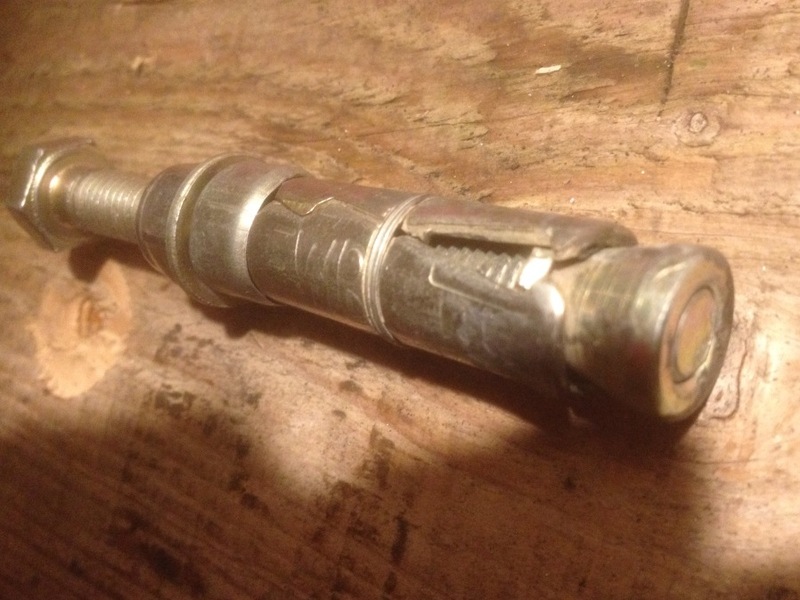 If using a non modified rawl plug, using thin aluminium sheet between rawl plug and bearing stops the 'slippage' I guess it provides a crush-able biting surface. Regards fitting dry or wet, i very lightly grease (providing it's not caked on i can't see what harm it can do) I also did this when fitting the head stock races. i very lightly grease (providing it's not caked on i can't see what harm it can do) I also did this when fitting the head stock races. I do too... I have no idea who showed me to do this but I have even seen shops do this. Where he addresses this and basically ridicules it. 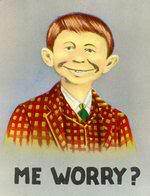 ...and I think he's right. 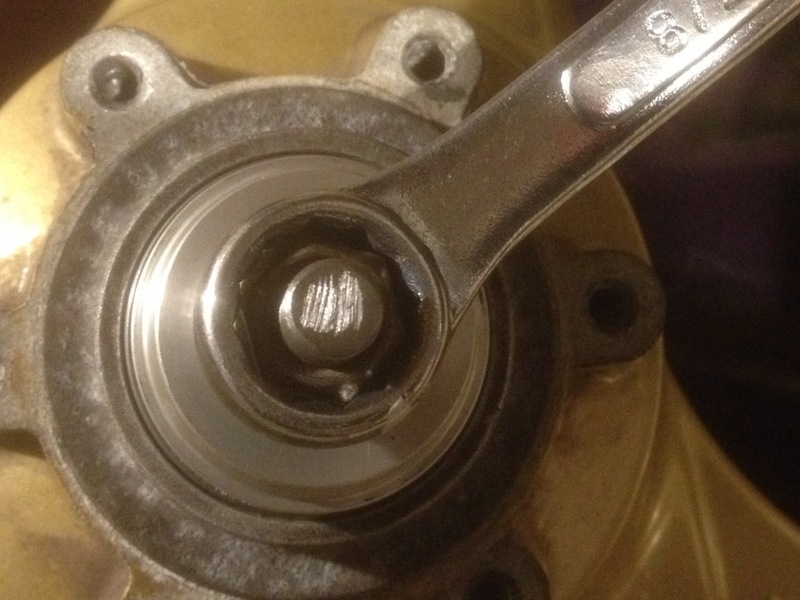 I have heard about cases where a bearing has seized and has spun in it's socket thus rendering that hub as scrap. Having change wheel bearings on motorcycles, trailers & cars I'm pretty sure this is most likely to happen on motorcycle hubs due to the smaller bearing size and softer alloy hubs. I have even seen bearings that have been effectively glued in with loctite. Yes it make sense... but i can't see them wheel bearings spinning in there sockets ! Although if they were to seize solid in use I'd pray to the first God i think of (while filling my pants) to make em spin in there sockets !! It ain't going to happen though is it? Check out the 'How To Handling And Aftercare' section on the the linked page advises light oiling. 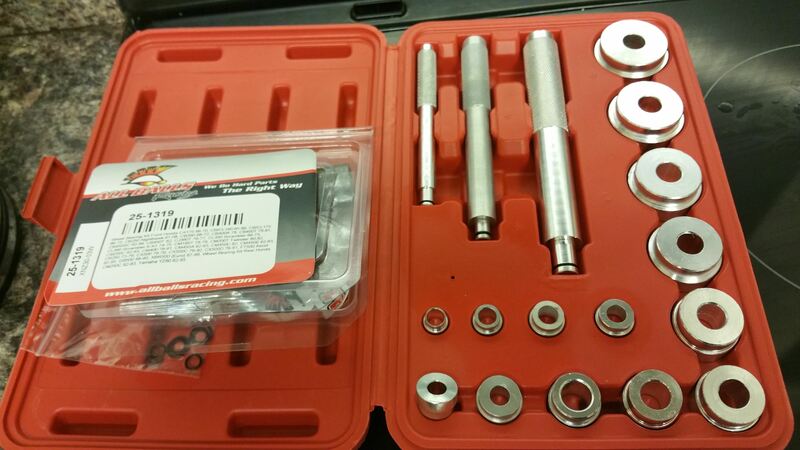 According to NTN we should not be tapping the bearings in with a hammer, regardless of where you hit them because any shock loading will cause damage... they should be pressed in. I've fit rears on a Renault Megane using method (Watch from 6.20) and 10,000 miles later they're still going strong and running silently. Those kids are going to be good riders when they're older, lucky so & so's. I can't imagine it ever would either but I have heard of it happening. I think the point is that if it is nice a tight fit then it will not spin whatever happens, any seizing in the bearing will be broken (whether that is good thing or not). 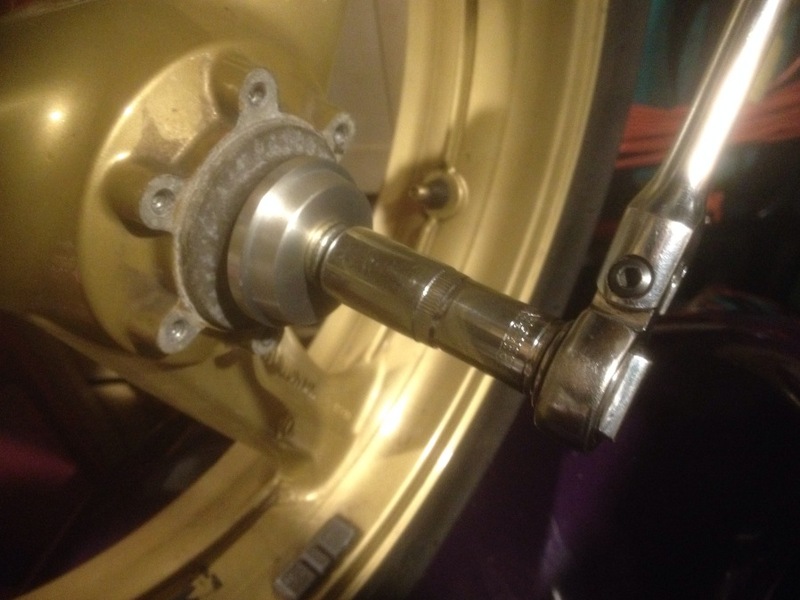 I think when a bearing has spun in a motorcycle hub it's due to wear of the bearing seat, which can only really be down to the bearings having been changed very often. 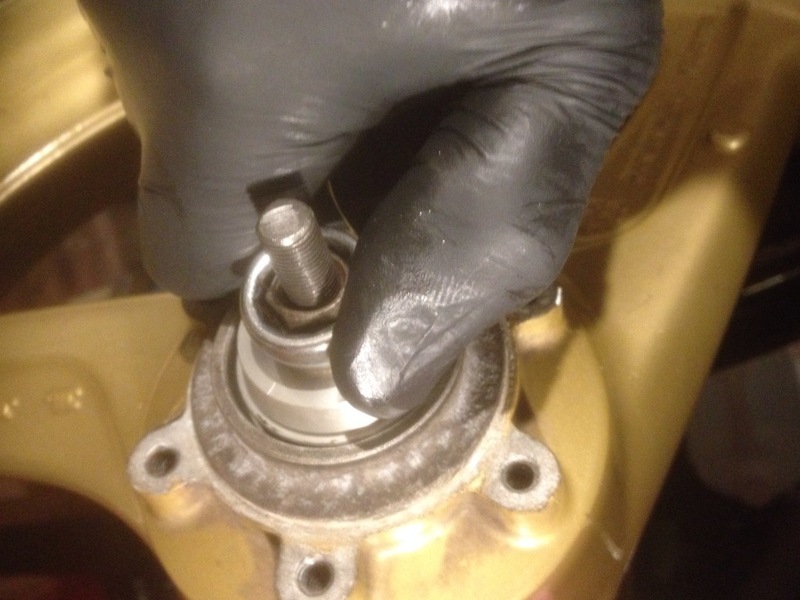 Everytime you install/remove a bearing with a hammer you stretch the seat a little, this is because you are tilting the bearing rather than driving it in straight. Also each time must scuff the seat a little too. I have had bearings seize, just wheel bearings & headset bearings. It's when they've become waterlogged and start to rust. You can feel them give when you move them, it can be very noticeable with the headset bearing. Once removed the old bearings will quickly seize solid again on the shelf. I use to check them the next day to see how bad they are, if you pop the seals it's usually a rusty mess in there. I read the NTN thing, I wonder if the oil is recommended as an anti-corrosion measure? 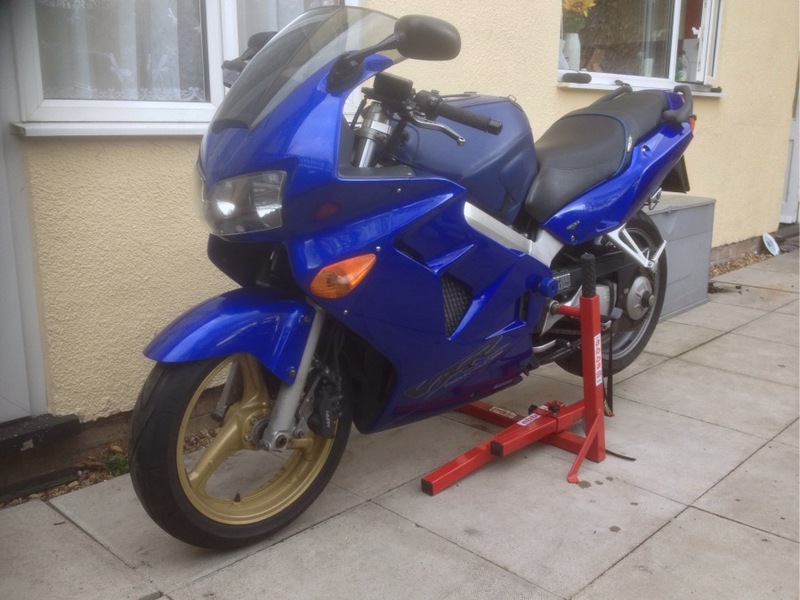 If you check the workshop manuals they do not specify putting oil on the mating surfaces either. I think when I do the next set I'll try to use the bolt to drive them out and make up a puller to put the new ones in. When I did the water pump bearing on my SD the casing had to go into the oven for while, I also put the new bearing in the freezer to make it go in easier. With no threaded bar to hand i made good use of two bicycle axles from a couple of junk wheels. By chance the axle's spacers fit nicely in the drivers (Takes away any lateral slop) The driver holes are 14.2mm so will purchase some M14 nuts,washers and threaded bar. A complete axle on the right and joined section on the left. Driver with a slightly smaller diameter than bearing to be driven. On the other side a driver with a larger diameter than bearing casing. Surprisingly little effort is required to pull the bearing in place, i held the spanner as shown. Makes no difference which side you crank down, but this side allows you to watch that the driver remains 'central' as it enters the bearing casing. Repeat for other side. Just tighten down until you feel resistance then check the spacer. Very pleased that on first check the spacer had no lateral movement but does move up and down as it should. I can't believe how quick and easy this method is, i'l definitely be using it for future wheel and steering stem bearing replacement. 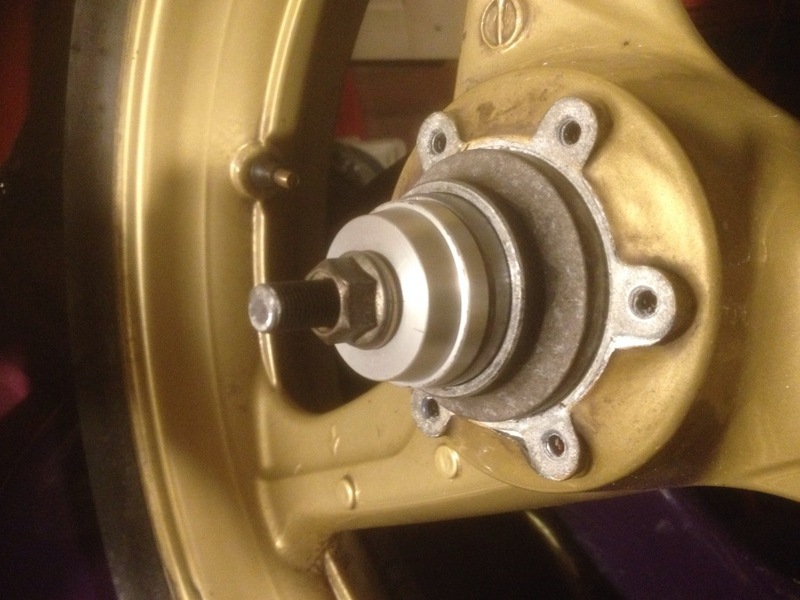 The bearings were placed in the freezer for half an hour and the wheel hub warmed prior to fitting. Before fitting the puller, I did 'pre seat' the bearing by giving it's outer race a couple of gentle taps to ensure it began it's journey square. I very lightly oiled the bearing casing and outer race. The kind of use this wheel sees these days. Me too, but I just put the axle back in the forks and prop something underneath - axle stand, wood off-cuts, MX lift stand..., whatever is closest to me at the time really. 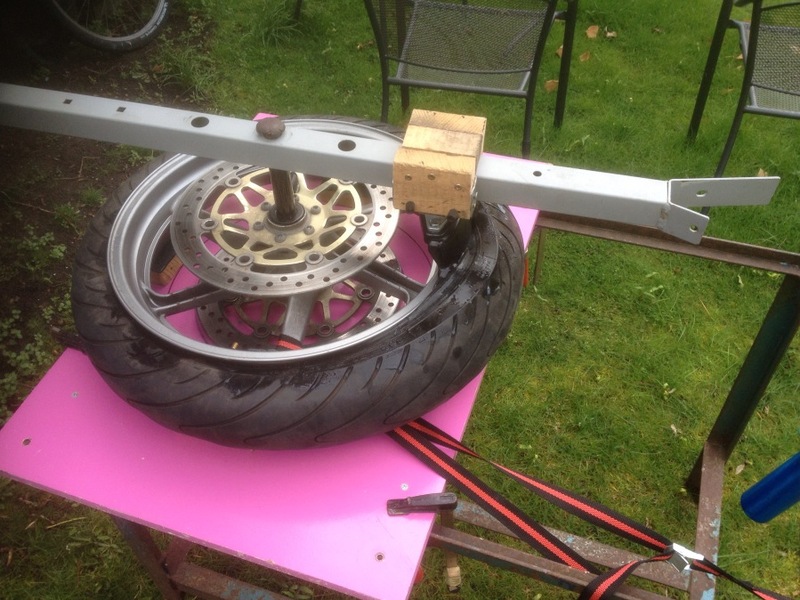 I've just built another CB175 wheel, and decided that it'd be a good idea to change the wheel bearings, although I have to say that the ones fitted seemed absolutely fine. 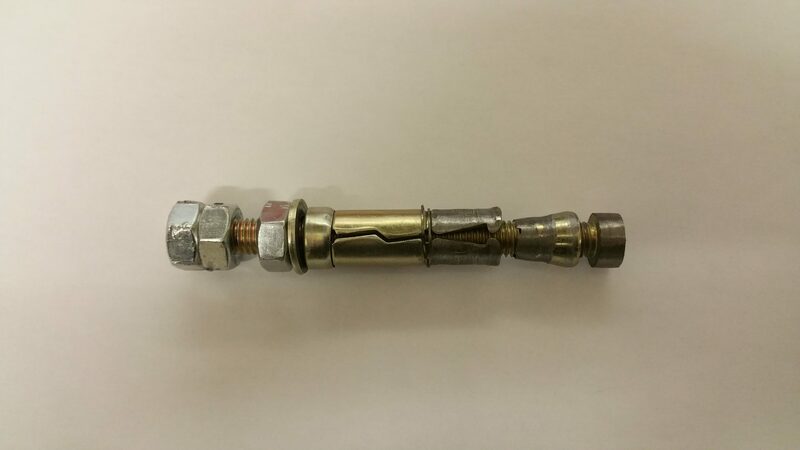 I've seen a few threads and postings where folks have used Rawlbolts to extract the bearings from the hub, so I bought a bolt like the one below. Unfortunately, at 16mm it was just too fat to fit into the centre of the bearing, so I modified it as below. I took the bolt out, and ground the head down to the same diameter as the cone shaped wedge. I also ground the cone down, loosing the three fins that prevent it rotating when tightened. I also ground the outside of the three expanding pieces, then reassembled it with three extra M10 nuts, original bolt now reversed. The expanding part fits into the centre of the bearing. The lower nut is tightened, pulling the cone into the expanding part. 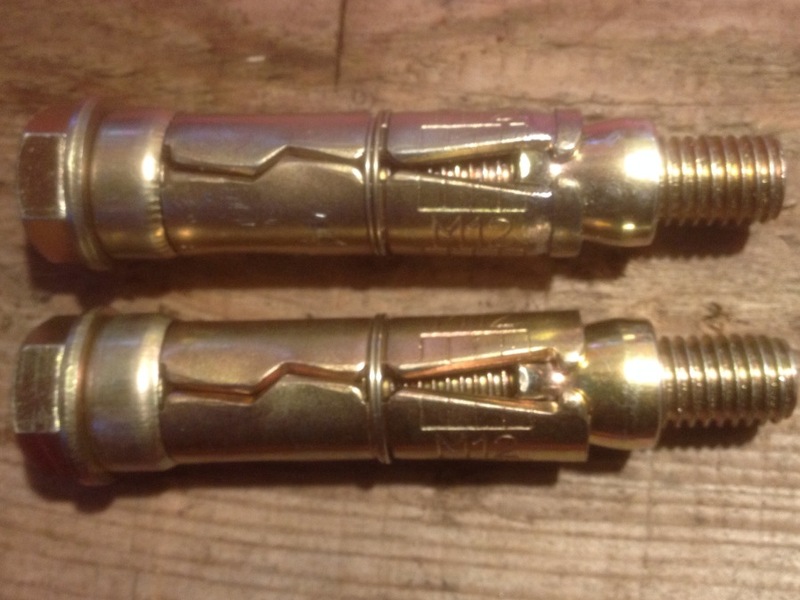 The two M10 locknuts are gripped in a spanner, so that the bolt cannot rotate. And it work a treat. A few whacks with a heavy hammer and a drift on the ground down bolt head, first bearing popped out, followed by spacer tube. Flip the wheel over and repeat, job done easily, without damage. I've bought a cheap set of bearing / seal drifts for when I fit the new bearings, ice box and heat gun at the ready. 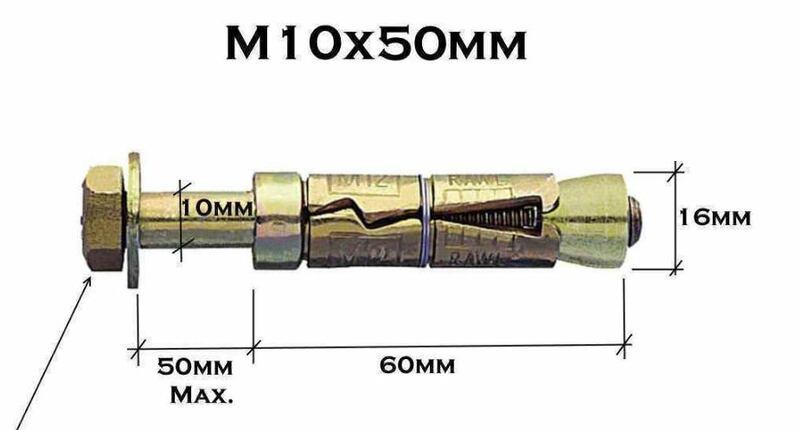 I've got some M10 threaded stud and some nuts ( Screwfix only had boxes of 100 ! 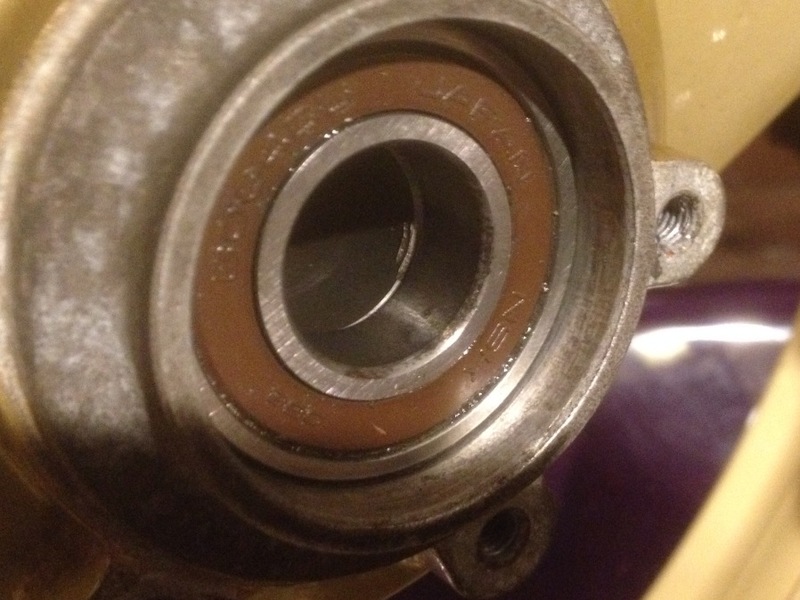 ), so I'll pull the bearings in, rather than bash them in. Take care when pulling the final bearing on to the spacer, as it's very easy to clamp down to firmly using the 'puller method'. (No way of freeing it off without goosing the bearing) I find it's best to pull the bearing close then set the spacer's final free play by tapping down the last millimetre or two. It's easier to check the bearings progress and spacer's free play by using the tapping method. It's just too easy to side load the bearings by guessing their final position. 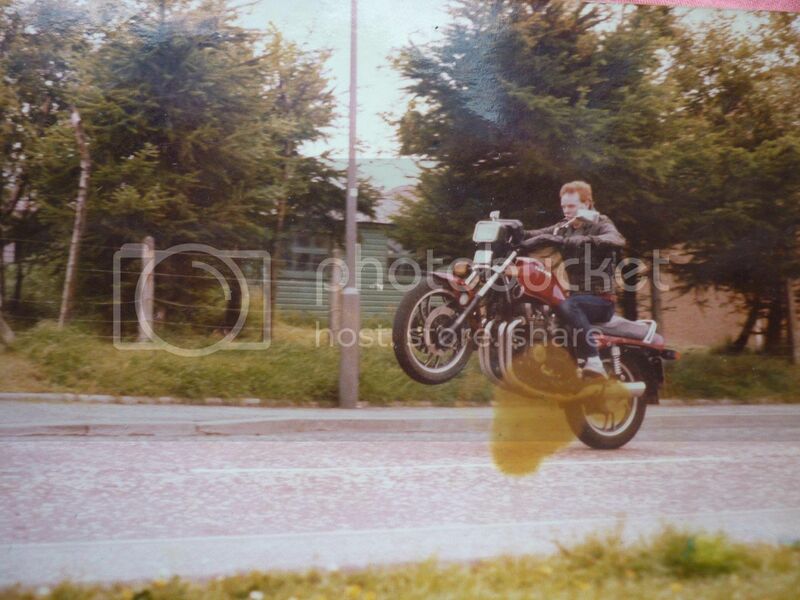 I wrecked so many front wheel bearing before I even learnt what side loading was! I was younger and right at the start of my motorcycle maintenance growth curve . 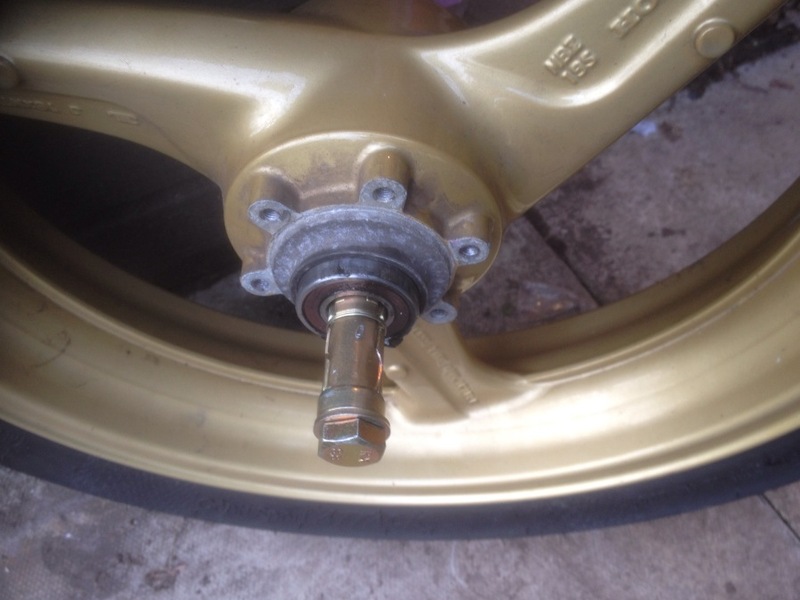 Use a couple of large sockets turned backwards either side of the wheel. The back face of the sockets need to cover both the inner & outer races but also fit into the hub. These effectively lock the bearing inner & outer faces together so they drive in as a solid piece. When the last one seats the spacer is tight and the inner & outer shells are aligned perfectly. Point taken. That's why I bought the cheap set of bearing drifts, the largest one is a perfect fit in the bearing housing, and being solid bears on both the inner and outer races evenly. 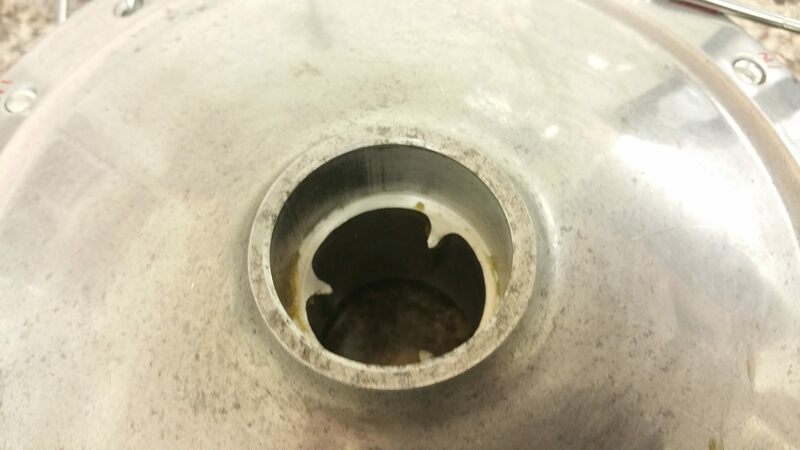 Off course, it helps to remove any oil seals first, check that there isn't a bearing retaining circlip lurking underneath it, before setting to with the big hammer on the Rawlbolt tool. EDIT Talking CB175 here, not Hornet, wouldn't want to cause any more confusion …. Luckily, I stopped hammering before any damage was done, realised my mistake. Front and rear bearing kits now fitted OK, using the bearing drifts and the threaded rod and nuts. Took it easy for the last few mms, got the spacer tubes just right, free to move but no free play, if you take my meaning.